This is a square Goodyear Welt System porcelain sign. This particular Goodyear Welt System sign is red, white, and black with white text. 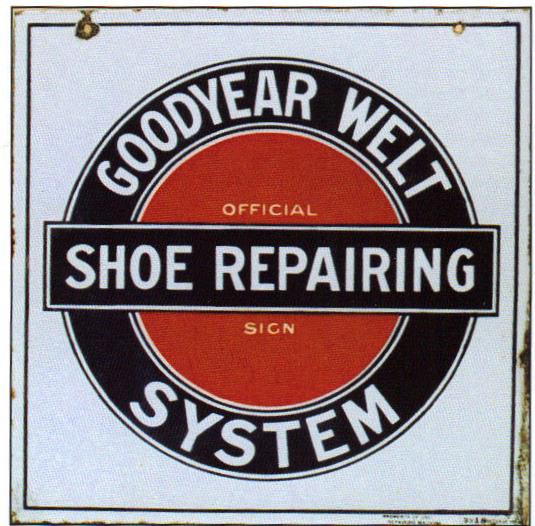 It reads, “Goodyear Welt System, Official Sign, Shoe Repairing”.